I love the stitching on the wheel! Fabulous! Oh my gosh that is so adorable! 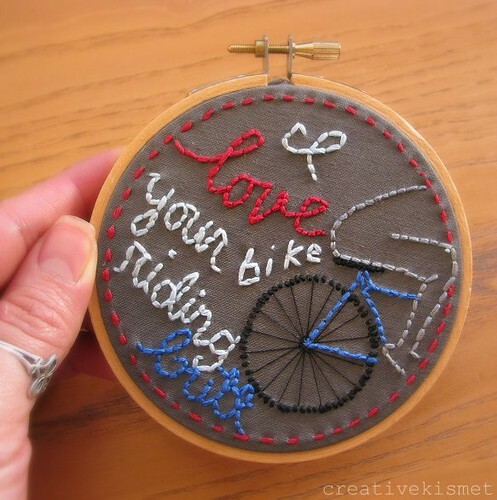 This is just to cute, and I even got a bike for my Valentine/Birthday present. I nominated you for the sunshine award over at my blog. Head over there when you get a chance to check it out and accept. looks like real rubber thread for the wheels. too cute. Simplicity but with details, I like it a lot! That is truly awesome. My hubby is a mountain biker..he would LOVE this.